Pictures such as these below are all too common in Texas. Our location near the Gulf, long intense summers, and frequent cold blasts from the north often leave us open to every wild weather condition you can imagine! We at Houston TX Arborist hope your residence or commercial property never faces weather destruction! Realistically, this does occur, leaving injury and property destruction in the wake. Emergencies are always unexpected and often occur in the middle of the night. 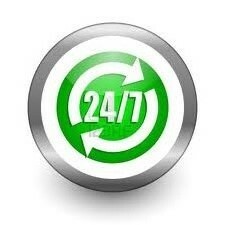 Houston TX Arborist keeps live operators around-the-clock and removal crews on call for you 24/7. We will promptly and efficiently begin restoring safety and getting your residence or commercial property back to normal. How large is the tree(s) that is damaged? What is the proximity to other trees or structures? What is the condition of the tree(s)? Those are only a few of the conditions to be taken into account. Work of this nature is often quite dangerous. The exacting, precarious nature of the tree removal or large limb removal, therefore, may reflect a higher price. Even so, we are confident you will find our prices fit into your budget and our quite reasonable for the excellent service we consistently deliver. Remember, we at Houston TX Arborist want you to consider us your go-to company--not just in emergencies--but for projects, maintenance, and other landscaping plans! We aim to gain your trust and confidence from the first call to the completed job-every time! Of course, Houston, Texas Arborist carries all necessary credentials and insurance documentation. What provides us with the most pride is our long list of satisfied clients who have endorsed us through various methods, commonly word-of-mouth to their friends, neighbors, and family members. We believe you will feel the same way after experiencing first-hand the high quality of the work we do, the affordability and reasonableness of our prices, and the outstanding customer service we extend from every member of our Houston Arborist staff. Houston TX Arborist would like to point out that many of the procedures we do in regular maintenance, in particular trimming, pruning, thinning, shaping, and removal of dead or dying limbs also serve as a protection for trees during severe weather. Trees are better able to withstand strong, sustained winds when there is an openness through the branches. This allows for winds to blow through the trees rather than against heavy masses of weak branches. Trees can also adapt to shifts in wind direction when they are kept neat and trimmed. Cabling, pictured below, is the process of reinforcing beautiful, heavy branches in stunning, mature trees; this process also helps prevent "landmark trees" from easily being destroyed. Regular, consistent maintenance equips them with a great fighting chance! Remember, emergencies don't care what time it is! 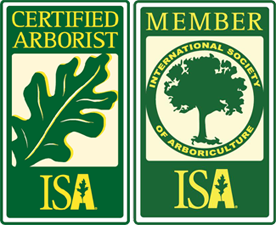 Houston Texas Arborist has actual people ready to get help to you 24/7! Other cities and zip codes we service: 77076, 77093, 77078, 77091, 77080, 77018, 77022, 77093, 77078, 77043, 77055, 77008, 77024, 77007, 77042, 77063, 77096, 77005, 77054, 77021, 77087, 77017, 77502, 77506, 77029, 77013, 77078, Fairbanks, Northwest Crossing, Spring Valley Village, Hedwig Village, Hunters Creeks Village, Pine Point Village, Bellaire, Meadow Brook, Pasadena, baytown, Humble, Kingwood, Atascocita, and many, many, more!